Allegra Hyde and Alex McElroy met while completing their MFAs in Fiction at Arizona State University. They married upon graduating in spring 2015, and then spent the following year in Bulgaria, where Allegra completed a Fulbright Grant. This past summer, they settled in Houston, so that Alex could begin studies as a PhD candidate in Fiction at the University of Houston. 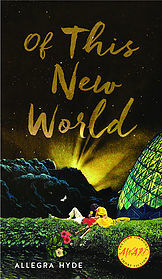 Allegra’s first book, Of This New World, recently won the 2016 John Simmons Iowa Short Fiction Award. She will be launching the book this Monday, October 3rd, at 7:00 PM at Brazos Bookstore. To mark the occasion, Allegra and Alex sat down to discuss the collection, writing as a couple, and their burgeoning love for Houston. On first meeting celebrated historian Mary Beard, I was struck by two observations. 1) She has the most impeccable, chirpy, and patrician British accent I’ve ever heard, and 2) she wears the flyest kicks—gold-colored, metal-studded sneakers—I’ve ever seen. Her life’s work bears this dual legacy. She is an Oxbridge-trained professor of classics and author of over a dozen well-received books, as well as an approachable public intellectual, who writes a popular blog and frequently appears on “telly” as a commentator on all manner of news stories. 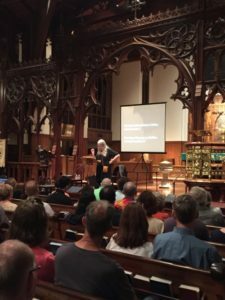 Mary Beard read at Christ Church Cathedral in downtown Houston on Sunday, September 18, as part of a partnership with Brazos Bookstore. Before there were such categories as “creative nonfiction” or “memoir,” there were chronicles of the time, and Romans documented activities both contemporaneous and ancient. She presented an engaging talk, complete with photo documentation, on the subject of her newest history SPQR. On August 24th, the UH Creative Writing Program started things off for the Fall 2016 semester by allowing long time chair, J. Kastely, to quit his job. Kastely, who suffered through what must have seemed like a million (it was only 14) years of whiny writers of the undergraduate, graduate, and faculty persuasion, was ceremonially unchained and allowed to roam free from his office, to pursue his varied philosophical interest. The Creative Writing Program was reluctant to let Kastely go, because Professor J. Kastely was truly excellent at this job—no joke, sublimely so—and none of the subjects interviewed for this blog post could imagine a Creative Writing Program without him. And yet novelist Alexander Parsons has generously agreed to step into that role, at least until one of our bear traps proves successful. 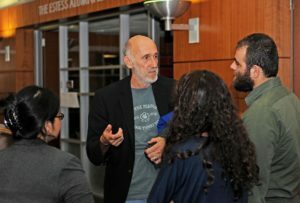 On Wednesday, September 14, the University of Houston Libraries celebrated the opening of Storied: The First 10 Years of the Creative Writing Program with a reception in the Elizabeth D. Rockwell Pavilion of MD Anderson Library. 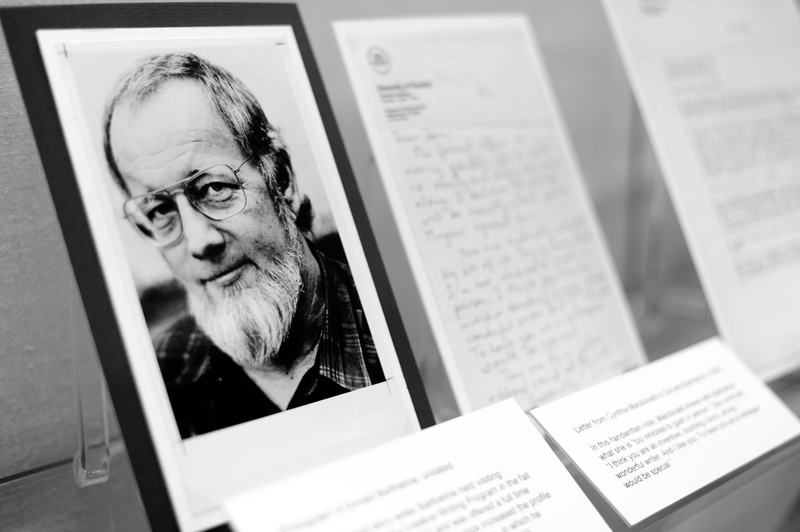 The exhibit was put together using UH Libraries Special Collections materials and focuses on the founding and first decade of the UH Creative Writing Program. It highlights faculty members Cynthia Macdonald and Donald Barthelme, as well as showcasing works by alumni who graduated within that first decade (1979-1989). Within the first few years of its founding, the UH Creative Writing Program had already become a leading program in the nation. Inprint formed virtually alongside the program in the mid 1980s and quickly became a crucial source of fundraising and support for students and the student-run magazine Gulf Coast: A Journal of Literature and Fine Arts.